Throughout it’s 25-0 run, UCF has endured plenty of criticism from national media members, fans and opposing teams for its national championship claim and campaign to be included in playoff discussions. But LSU’s Devin White offered some of the harshest criticism yet to media members ahead of the Knights’ game against the Tigers in the Playstation Fiesta Bowl. But the Knights are not taking the bait, and have remained focused on getting their 26th win in a row and becoming the first team to finish undefeated in back-to-back seasons in more than 20 years. 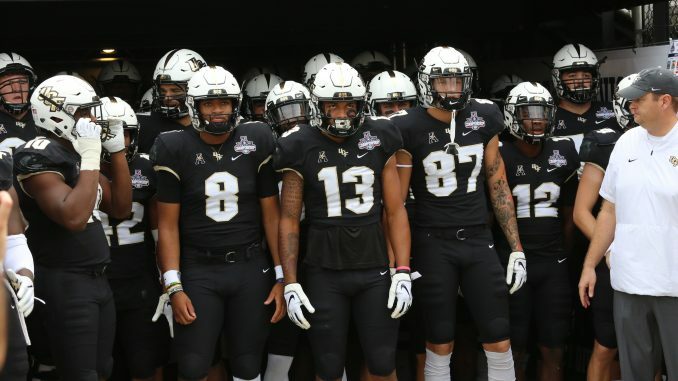 Wide receiver Gabe Davis is used to UCF being slighted and is looking forward to the debate being settled on the field on Tuesday.